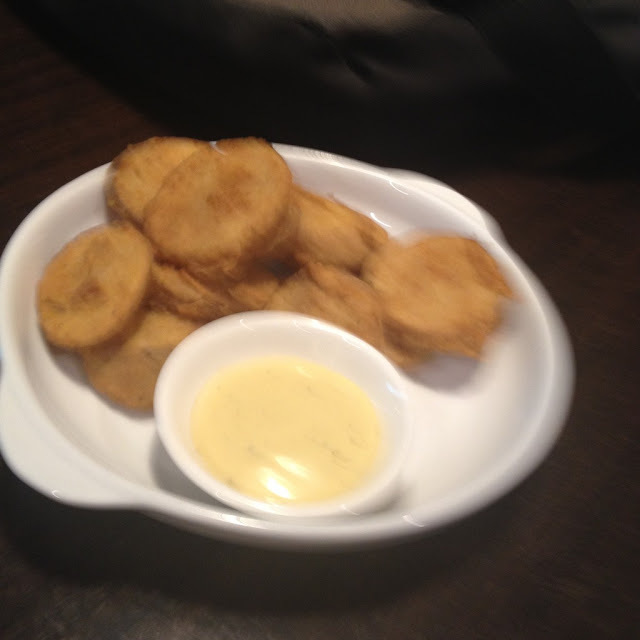 Potato jojos are simply fried potatoes. They come with a Caesar dressing dip. 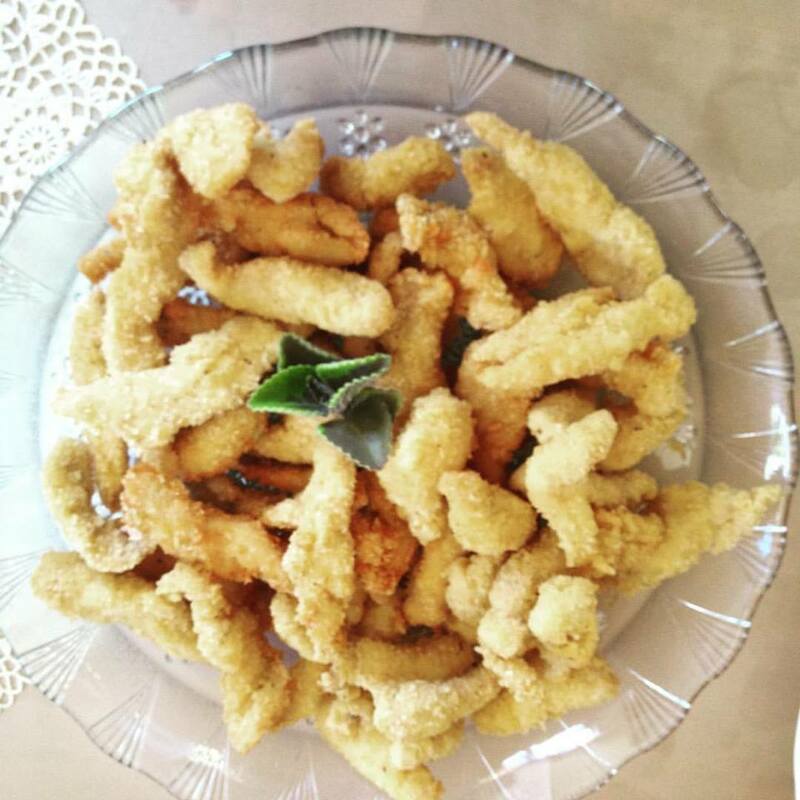 Chicken fingers are breaded chicken fillet which are fried. These are served with a garlic mayo dip. Salads available at Handuraw include summer greens salad, tuna mango salad, and chicken salad. For soup, one can have cream of mushroom soup, cream of pumpkin soup, tomato soup, salmon harvest chowder, and beef pochero. Ciabatta sandwiches are served at Handuraw with two varieties: Tuna in Ciabatta and Chunky Chicken Ciabatta. Of course, pizza is the specialty at Handuraw. They take pride in their thin crust pizza. 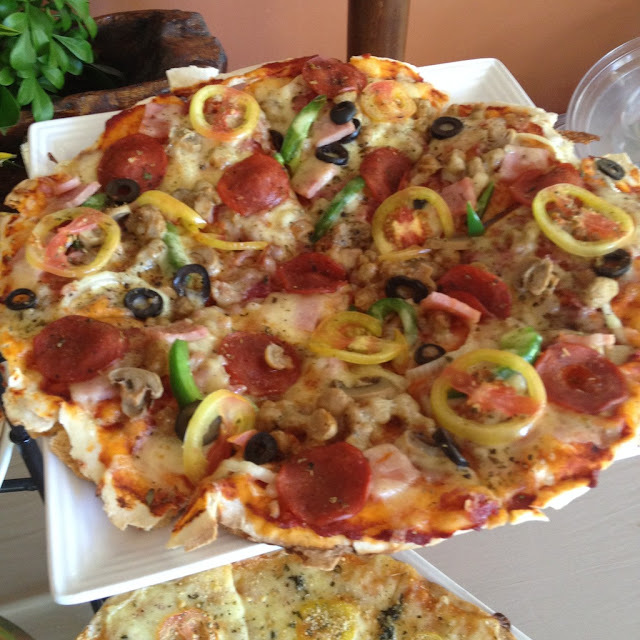 The pizza menu at Handuraw Pizza is categorized into four : Adventurous, Premium Pinoy, Classic, and Simply Basic. Classic flavors are bacon and mushroom, Hawaiian, meat lovers, pepperoni, vegetarian, and the Handuraw Special pizza. 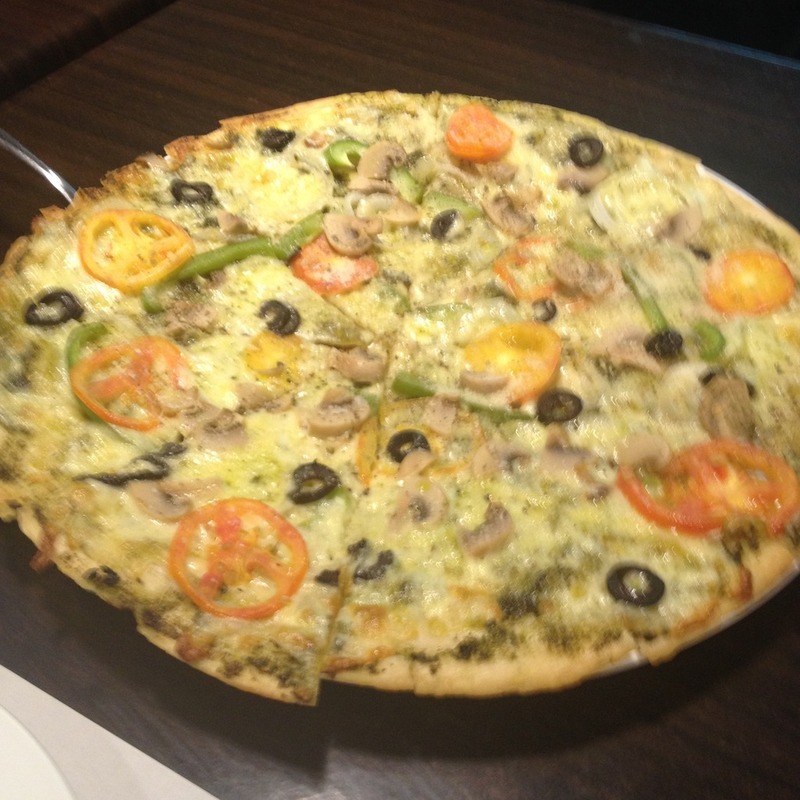 The Handuraw Special pizza is the signature pizza dish of Handuraw obviously. This flavor is loaded with pepperoni, Italian sausage, olives, green bell peppers, tomatoes, mushrooms, ham, and bacon, and mozzarella cheese. That's a lot of toppings! Regular size sells for PhP 388. You can have the solo orders at PhP 208. If you are on a vegetarian diet, you will love the vegetarian pizza. It is topped with mozzarella cheese, Parmesan cheese, mushrooms, olives, tomatoes, and green bell peppers. 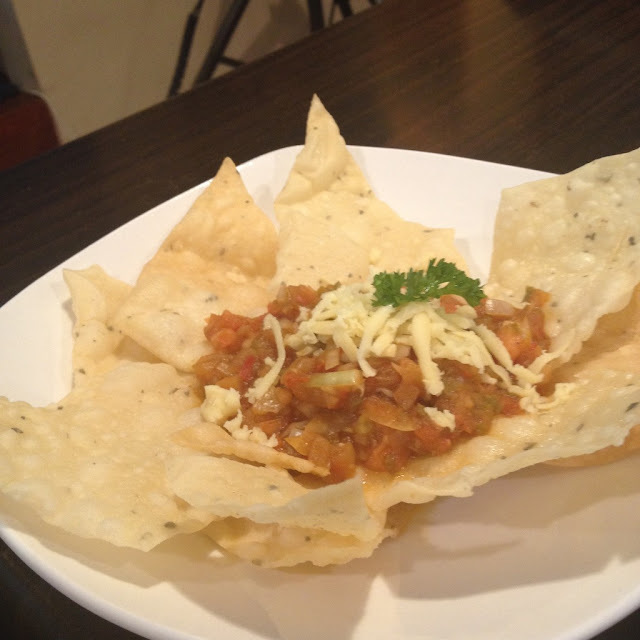 This sells at PhP 358 (regular) and PhP 198 (solo). There are three basic flavors at Handuraw: Cheesy Cheese, Margherita, and Roasted Garlic and Cheese. For flavors inspired by a host of other international cuisines, look out for the adventurous section. It lists German Sausage, American Roast, Mexicana, Seafood Delight, and Anchovy Lovey as varieties of the pie. Another twist on pizza at Handuraw is giving the pie a more Pinoy feel. Premium Pinoy flavors are Chicken Adobo, Pizza Cebuana, Sisig Scramble, and Tinapa Delight. Where there is pizza, there must be pasta. 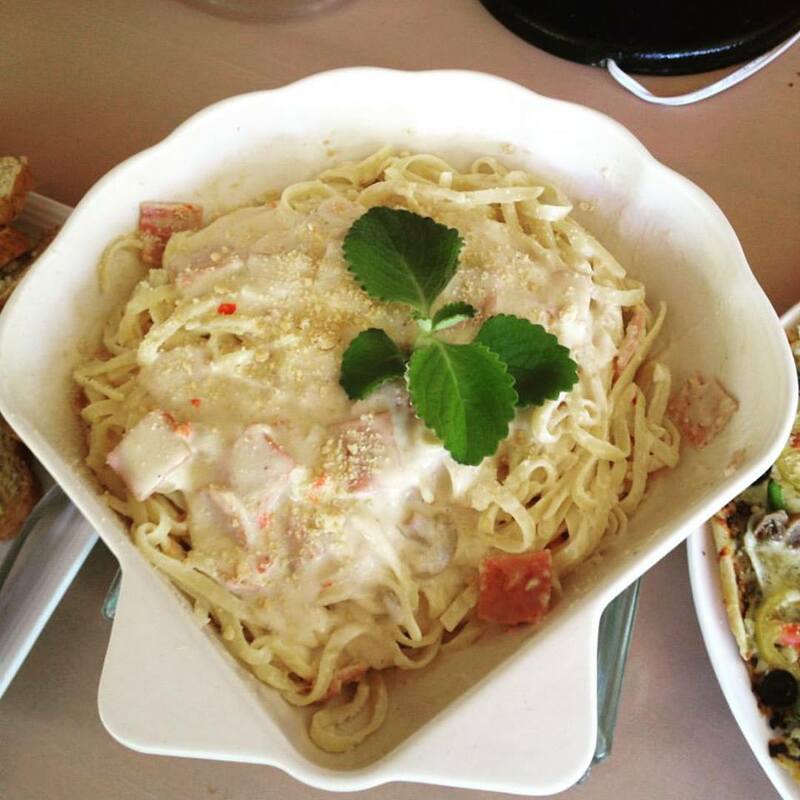 Pasta choices at Handuraw are all meat Bolognese, beef lasagna, carbonara, pesto pasta, tuna vegetarian, and seafood marinara. Handuraw also serves all-day breakfast. They mainly serve the popular silog meals. They have tapsilog, longsilog, tosilog, sardinsilog, corned-beefsilog, and tinapasilog. Handuraw has really diversified its menu outside of pizza and the usual Italian cuisine. Their rice bowl and platters lists items that are mostly Filipino favorites. They have dishes such as lechon kawali, pork binagoongan, adobong humba Bisaya, chicken adobo, and sizzling bangus. There are also some Japanese dishes. These include as grilled pork teriyaki, grilled chicken teriyaki, and katsudon. There's not a lot of dessert items at Handuraw's menu. Selections include Ice Cream Scoop with Oatmeal Cookie, Frozen Brazo de Mercedes, Brownie a la Mode, and Ice Cream Cake. Handuraw Pizza currently has four branches in Cebu City. They also have one branch in Mandaue City. Handuraw Pizza delivery is available by calling a specific branch. Delivery is also available through Food Panda. Food Panda charges a delivery fee of PhP 50. Deliveries are available from 11 a.m. to 10 p.m. 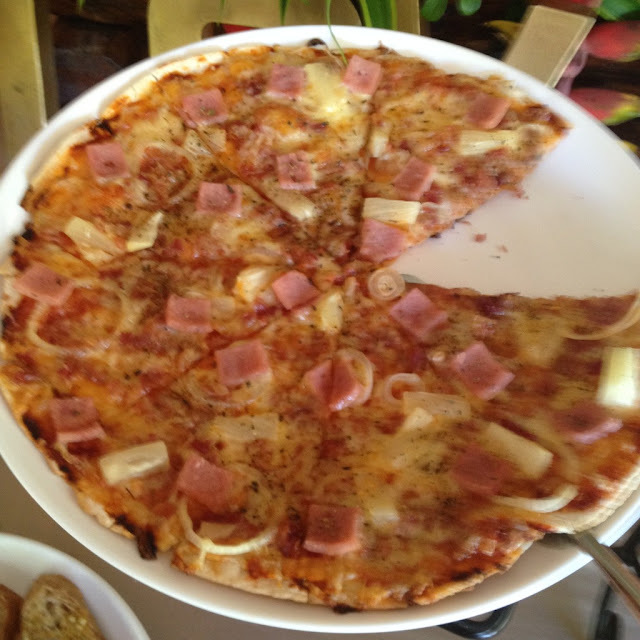 Note: Handuraw Pizza is also served at Hale Manna Beach Resort and Coastal Gardens in Moalboal, Cebu. Handuraw Pizza's good neighbor policy extends 10% discounts to students, teachers, staff, and alumni of schools within the vicinity of its branches. This discount is also extended to employees of nearby businesses or residents of nearby communities. For the Canduman branch, this discount is extended to students, faculty, staff, and alumni of Sacred Heart School-Ateneo de Cebu. For the White Gold branch, the discount is extended to employees and shoppers at White Gold Club. 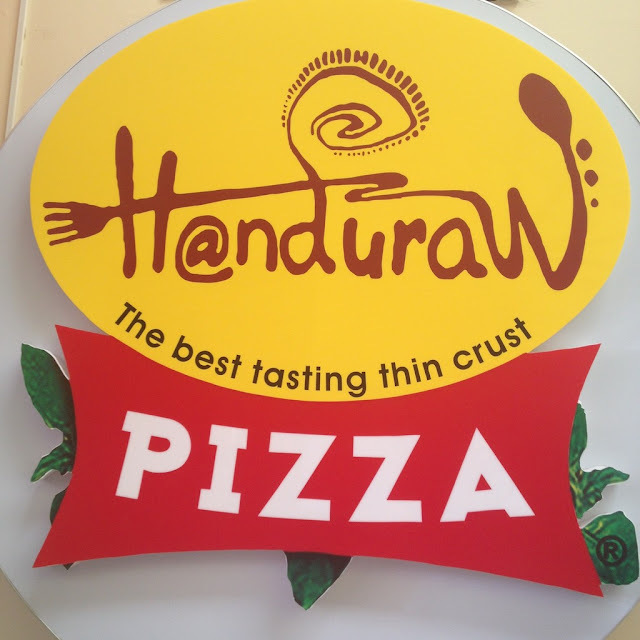 Have you tried the pizza at Handuraw? What is your favorite pizza flavor? Tell us about your experience in the comments below.